The world is on the move. A report by World Tourism Organization (WTO), estimates that by 2030 a global population of 8.5 billion people will take approximately 2 billion international trips. People are travelling more than ever, further than before, and faster! The travel industry has had to transform itself to adapt to this shift. The basic unit of the travel industry, the travel agency, has had to forge itself afresh from the agent of ‘yore’ to a forward-thinking, innovative travel partner of the modern age. The biggest catalyst for this reinvention has been the emergence of a savvier consumer. One driven by passions, influenced by and adaptable to whims and trends and who is harnessing the power of technology. The modern traveler has more control over their travel. Technology has bridged the gap between those with information/experience, and those seeking it. The modern traveler is leveraging this tool, search engines, social media, aggregators and apps. The modern traveler wants a more personalized, tailor-made travel experience. With content that speaks to individual needs. Their demands cut across conventional travel and tour packages where. For the most part, the modern traveler is calling the shots. He is a master negotiator; he does his homework on every aspect of travel. The travel agent is no longer dictating the terms. He is now a travel partner expected to facilitate the traveler’s needs. Like any tool in any other profession/industry/craft, wielding the right technology, the right way and harnessing it’s potential to the maximum makes all the difference. You would be hard pressed to find a business process that has not and cannot be digitized or automated. While technology has made all this possible, it is constantly adapting to consumer needs and trends. Technology gave us a paperless environment. The world is embracing eco-friendly, sustainable, renewable, recyclable, green business practices more and more. No more paper airline tickets, boarding passes and hotel vouchers. E-tickets and E-vouchers, QR codes and NFC. The new traveler abhors waste and will pay more to save the planet and reduce his carbon foot-print. Technology allows us to buy and check-in online. No need to commute for this. Airbnb’s beat a hotel in that the running costs for the owner are lower, and the experience is more ‘home-like’ & cheaper for the traveler. Online transactions mean we save time otherwise spent commuting to the travel agency. The traveler saves time and money that they could very well put back in the travel package. The agency too no longer needs to set up shop at every corner up every street. This means a leaner staff, lower wage bill (medical, insurance, benefits etc.) Running costs are lower for the agency so they can afford to offer their customers discounts. The modern traveler no longer considers language a barrier to selecting a travel destination. Technology exists that allows for easy translations of text in books, speech, signs, etc. This means the travel agent can offer up any destination as a choice the customer. The travel agency would be wise to market itself with packages covering regions beyond the usual destinations. The more off the beaten path, the better. They should also build capacity to handle clients from these destinations too, because they are coming. The modern traveler demands a travel experience devoid of interruptions. There are apps to notify them how long their cab will take, they get mobile alerts when their flight is delayed, they have directions to their hotel from the airport, seaport before they set off. They expect that bus or airline ticket to be a guarantee that everything has been put in place to ensure their safe and comfortable travel experience. And should any glitches arise, the turnaround in solving them should be fast. Only way this is possible is by maintain contact with the traveler at all times. Not just to fix problems for them, but also to gather feedback from them concerning their experience on real-time. The traveler is left to do the most important part of the process. Enjoy a worry-free trip. By designing a platform that provides real time information on flights and other travel arrangements, travel agencies can help business travelers save time. Electronic payments are fast taking over commerce. They are safer, more reliable and faster. 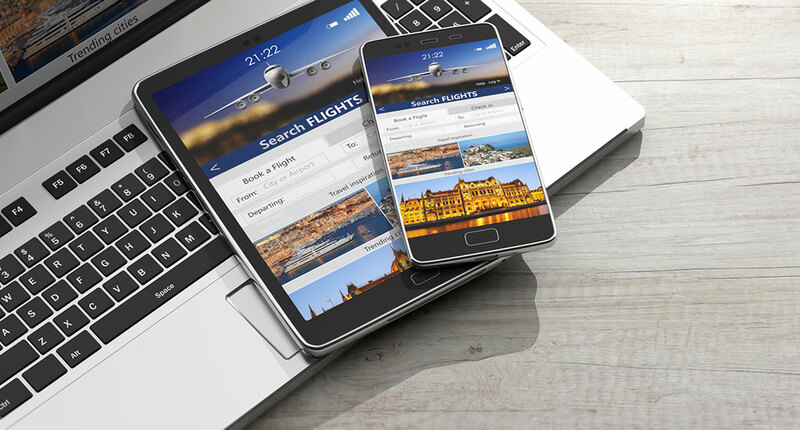 Online banking, money transfer apps, mobile payment platforms, all these and more should be modes acceptable and embraced by the modern travel agent. Partnerships with financial institutions to assist their clients do business with them is a definite plus. Build a secure platform for online commerce with customers, and you will keep them. The technology for this is mature; tried and tested. 4IR is rapidly changing the tourism and travel industry. Consumers are in the driver’s seat and they are flexing their power by dictating terms and imposing their tastes and needs. Travel agencies are faced with better informed consumers, with more power and with higher expectations in relation to what they expect from providers. “Everything is personal these days. Technology has allowed us to seek out customizable travel experiences as opposed to going for prepackaged ones. Search engines, aggregator websites, internet bloggers and critiques with their reviews and insight. There is a vast pool of information about almost every imaginable travel destination and experience out there. Millennials want their experience to be as unique as they are. There are real-time reviews on Websites and people get to post their genuine experience regarding their travel experience. The Agencies online presence can incorporate these via social media platforms and websites. Artificial Intelligence, albeit still relatively new, will assist with the creation of feedback loops allowing travelers to comment and rate different aspects of their trip, thus improving future experiences. Watch out for Blockchain technology too and its potential to revolutionize the industry by providing better data communication. Big data for those that can process it is a gold mine. Access to more and more information about the tastes and activities of travelers at destinations, recognizing trends in the seasonality of demand, and other key factors of tourist behavior are fundamental in the development of product linked strategies. A travel agent and or service provider can use it to better understand trends, predict outcomes and develop more personalized services for their clients. The processing and management of Big Data by smart destinations helps to enrich the visitor experience and compete more effectively. A recent report from the World Travel and Tourism Council and Travelport revealed that business travel accounts for $1.3 trillion of global travel spending annually, and is set to rise at 3.7% per annum over the next ten years. One key reason for this impressive growth has been the industry’s adoption of pioneering technology. Leverage this market with some after-work leisure travel and you are a travel partner with vision. In a wrap, travel agencies have to adapt to the modern traveler by harnessing modern technology and looking out for emerging ones. Then use these tools for intelligent data gathering and management, analyzing the market in real time, studying and predicting travel trends, adapting business processes to change in the shortest time, all these practices are vital to stay afloat in the new travel world. To sell below products and services among others. Review their own sales performance and aim at exceeding their targets. 2. If you have created your credentials before, login and apply for the post. 3. If new applicant, fill in details in Applicant, save all the details. After saving, a login username and password are sent to your email. 4. Login to the Dewcis portal with these credentials.